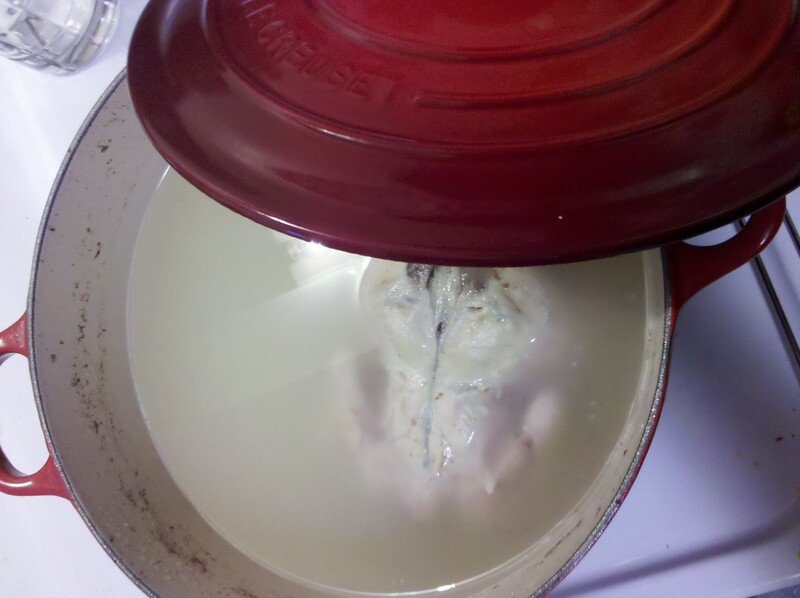 When I had a real job, I barely had time to cook. Breakfast: Bagel with jam and cream cheese (it was filling!) or yogurt. Snacks: I wish I could say I had fruit or carrot sticks. But in all honesty, I had something sweet to get me through the afternoon. I really had a poor diet but I was just too lazy to invest hours a week cooking for myself. Of course there are still days and periods during the semester when I’m terribly swamped and don’t have time to cook. But most days, I look forward to an hour of cooking because it forces me to get up from my chair or away from the computer. Today, I’ve spent the day in my office working on two papers and reading Sorting Things Out, a book about how categories and standards dictate the way we interact with each other and how it impacts our daily lives. At the same time I’ve made chicken stock out of a cornish hen and roasted delicata squash and sweet potatoes in the kitchen. 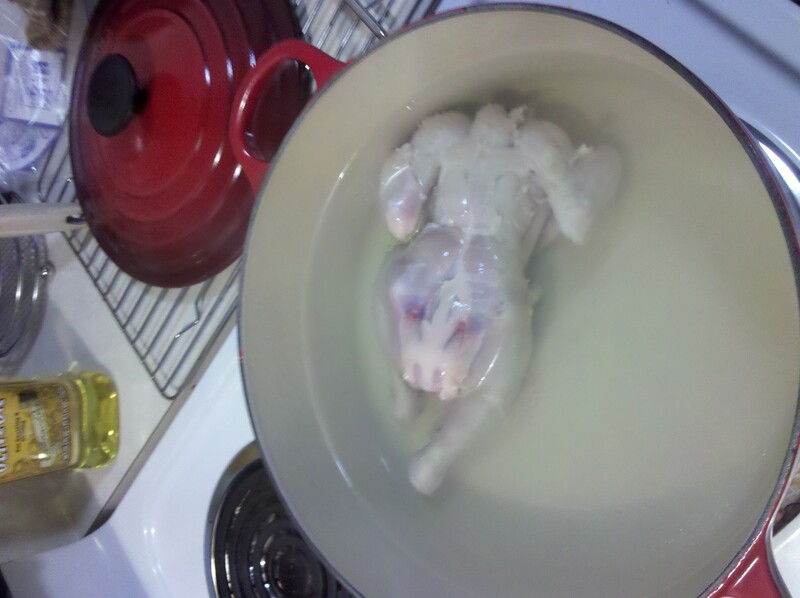 I skinned the hen, plopped it into the boiling water, and dropped the heavy lid back on my pot and let it simmer away for the past 6 hours. 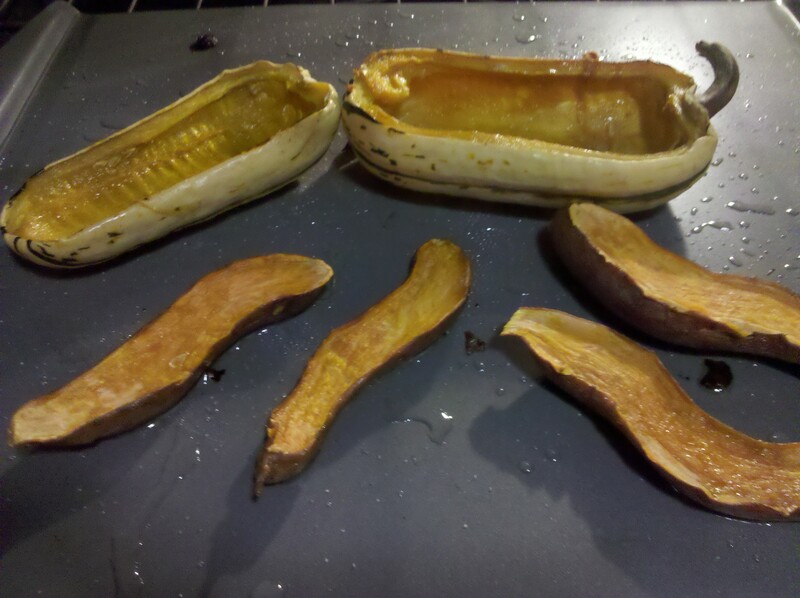 I washed and cut the squash and sweet potatoes in half and drizzled them with a bit of olive oil and salt. Then stuck them in the oven at 350 degrees for 25 mins. Now, all I have to do is read for two more hours and then put together a salad with fresh greens, squash, and sweet potatoes and make a quick soup out of mushrooms!